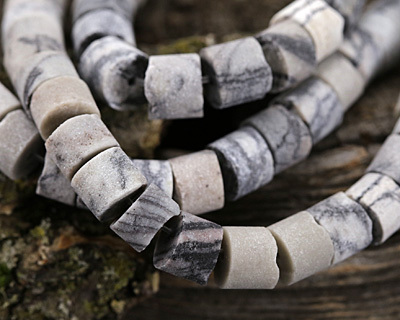 A member of the jasper family, this stone is also known as Black Line Jasper - and you can see why! 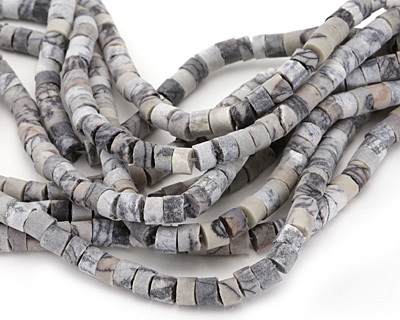 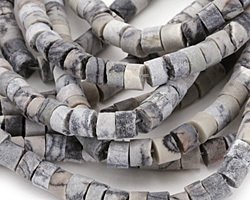 The gray-white background of these black water jasper beads is covered in thin, tendril-like black lines. 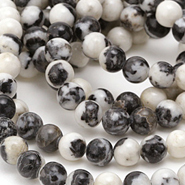 The pattern of lines on each stone is completely different, making each bead an individual work of art.